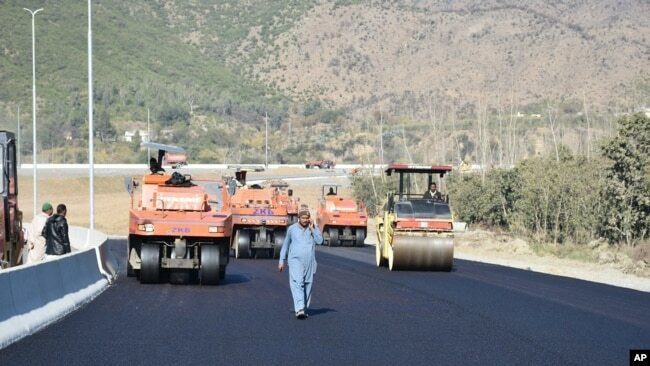 FILE – Work in progress at the site of Pakistan China Silk Road in Haripur, Pakistan, Dec. 22, 2017. 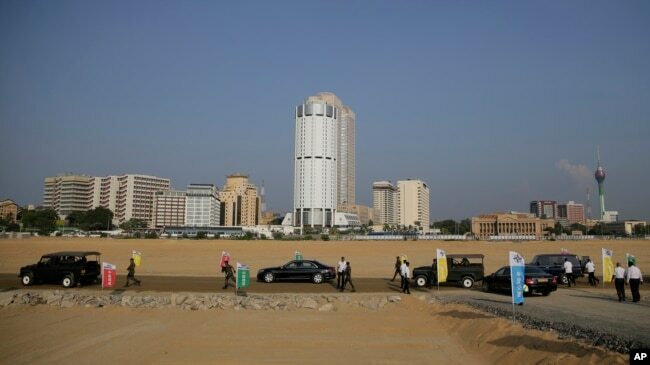 BEIJING — Concerns about debt diplomacy on China’s expansive infrastructure megaproject — the Belt and Road — have become an increasing source of debate from Asia to Africa and the Middle East. 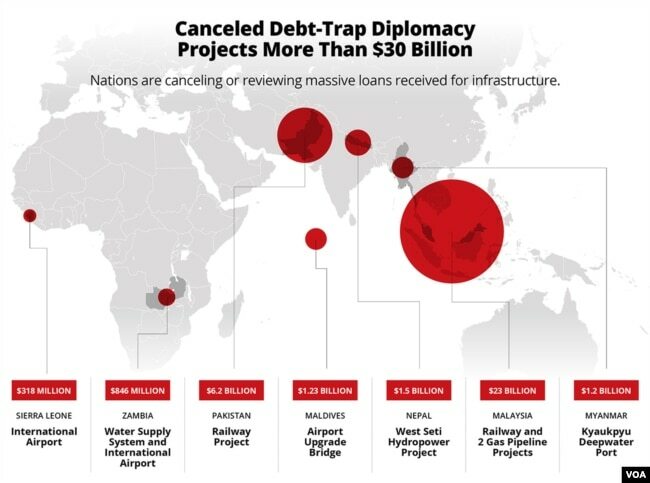 In recent weeks, more than $30 billion in projects have been scrapped and other loans and investments are under review. 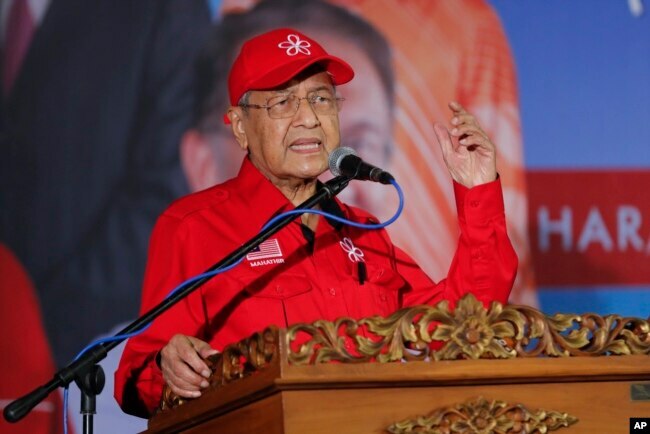 Malaysian Prime Minister Mahathir Mohamad delivers his speech during a rally for Anwar Ibrahim in Port Dickson, Malaysia, Oct. 8, 2018. FILE – Visitors read instruction material about land that was reclaimed from the Indian Ocean for the Colombo Port City project, on the Galle Face sea promenade in Colombo, Sri Lanka, Jan. 2, 2018. 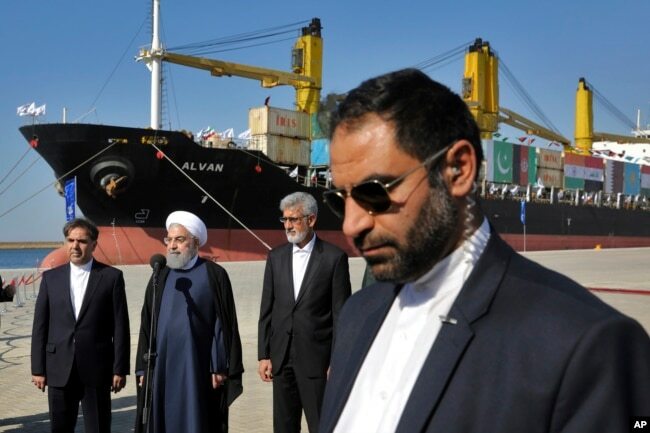 FILE – Iranian President Hassan Rouhani, second left, speaks during the inauguration a newly built extension of the port of Chabahar, near the Pakistani border, on the Gulf of Oman, southeastern Iran, Dec. 3, 2017. 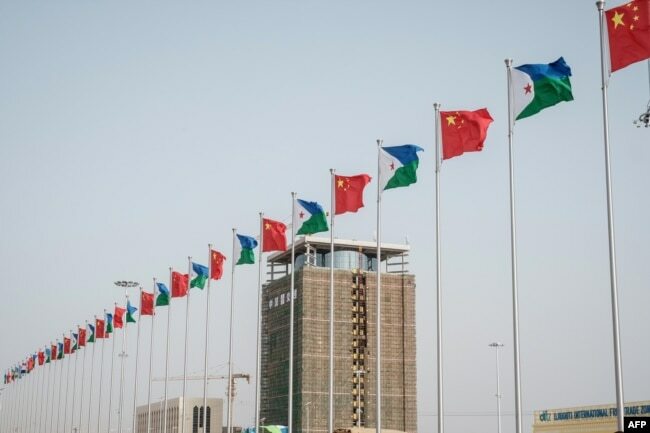 FILE – National flags of China and Djibouti are seen in front of Djibouti International Free Trade Zone (DIFTZ) before the inauguration ceremony in Djibouti, July 5, 2018.